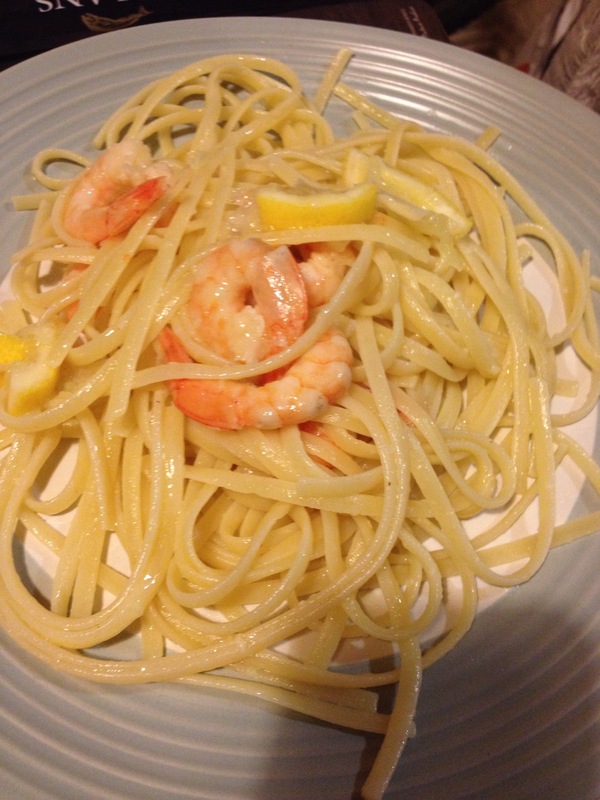 Tonight’s dinner is Ina Garten’s Lemon Prawn Linguine that I assembled based on my memory of making it about a year ago so I probably left out some ingredients…but it tasted good! I’ll post the original recipe here later. 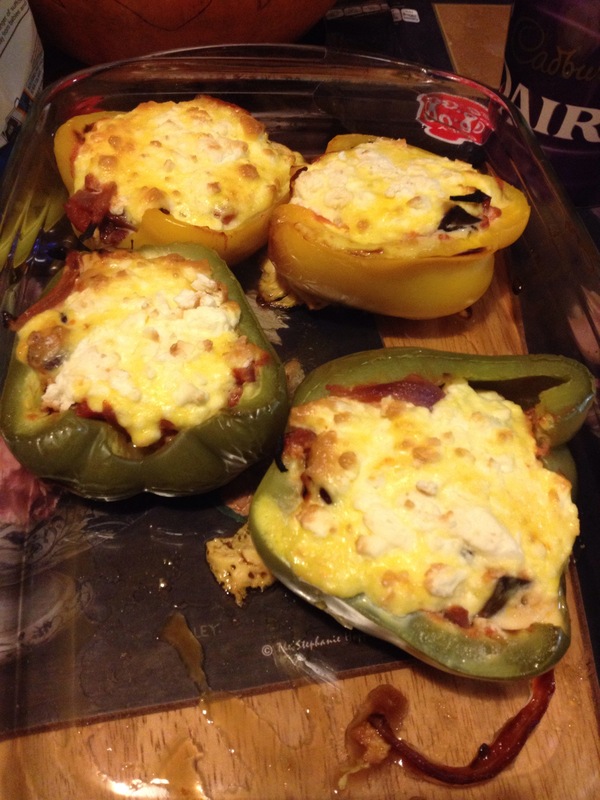 My sister came over for dinner & made a starter of Veggie Stuffed Peppers that were topped with feta cheese & egg! Yum! Thanks sis!